The children all enjoyed wearing red for Red Nose Day this week! The children came dressed as some fabulous book characters for world book day this year! They really enjoyed reading each other's' books and finding out about new stories! Our topic this term is "Look and Listen!". 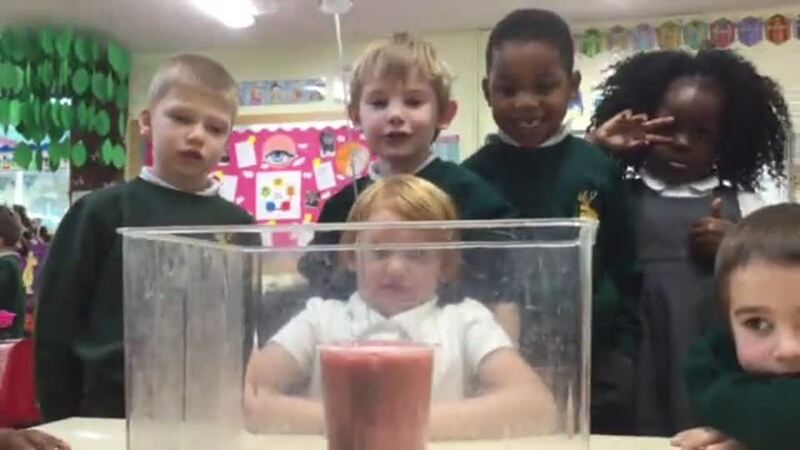 This is a science and investigation based topic which lets the children become scientists and experiment! So far the children have learned about their senses and how we use them. They have also learned about different musical instruments and how they make sounds. The children have also explored the world outside and observed different textures of nature. 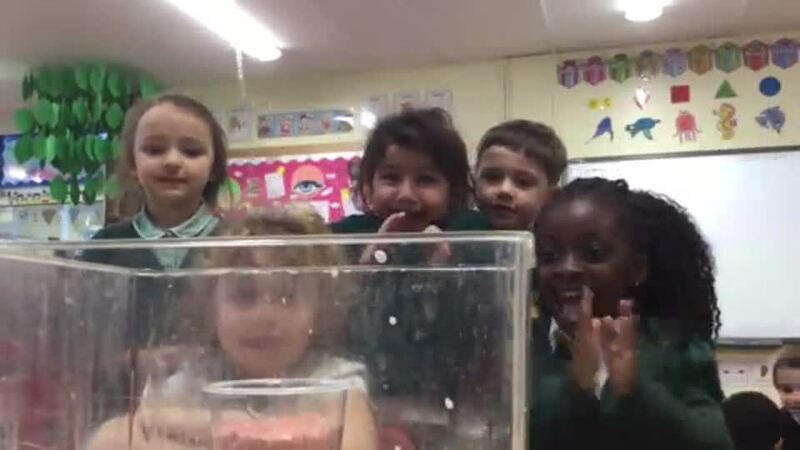 The children have been most excited to become scientists and conduct experiments! They have been learning about making a thoughtful guess or prediction about what they think will happen and then they have worked to test their ideas. 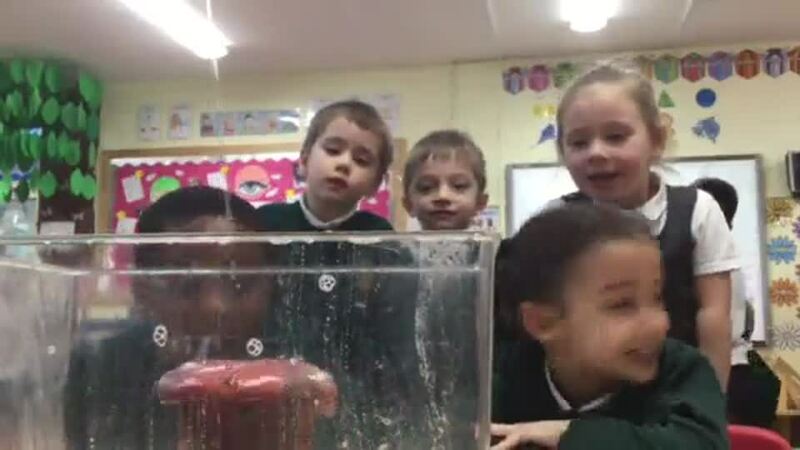 The children have conducted a "Will it sink?" experiment, predicting whether different objects will sink or float. 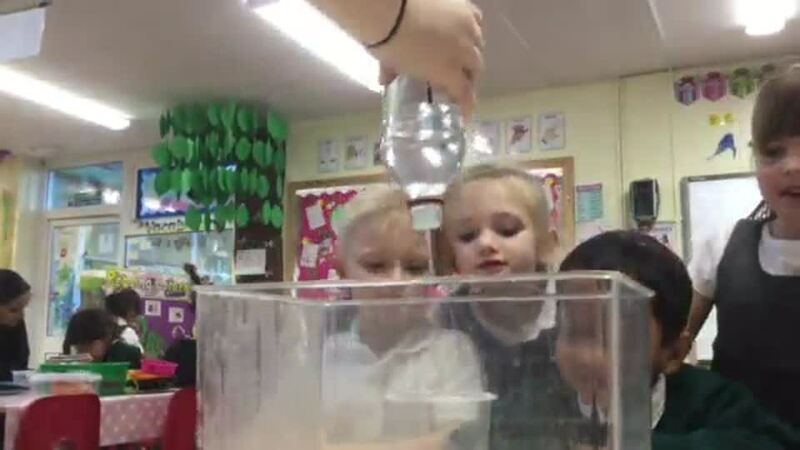 They have also explored how ice is created and experimented with different ways to melt ice quickly. The children's favourite experiment has been creating a volcano using vinegar, baking soda, dish soap, food colouring and water! 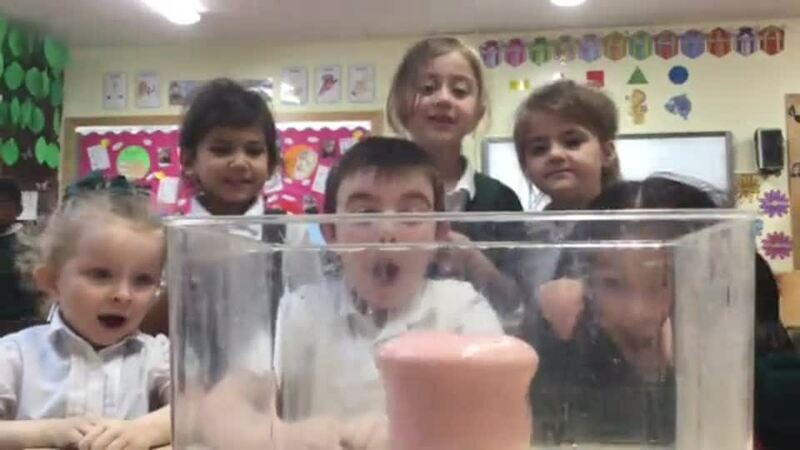 They were all very excited to see what happened when all of these ingredients were mixed together! We wanted to share some writing opportunities and ideas that we do in school so that you could have a go at at home! We are very excited to welcome our new Reception children this year. We are looking forward to a fantastic year full of fun and learning! Please make sure your children have everything they need to start their exciting first year at school such as book bags, PE kits, spare change of clothes, water bottles, wellies and reading records once they receive them. Please make sure everything is clearly labelled with your child's name and class. This half term the children will also begin learning across the prime and specific areas, looking at phonics, literacy, numeracy, understanding the world, physical education, expressive arts and design and personal social and emotional development. Please regularly check your child's online Learning Journal on Tapestry either via the website or the app. We will post updates of your child's week and their learning as well as special activities!